Darth Vader is here to help you class up just about any outfit! 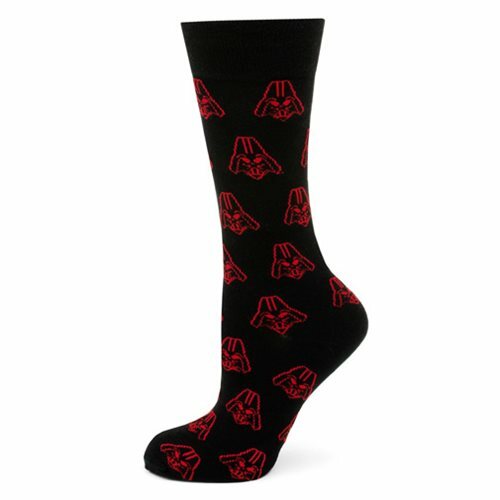 These Star Wars Darth Vader Black and Red Socks are black overall, and feature Vader's helmet stitched in red as a cool repeating pattern. Fans of Star Wars would love these awesome dress socks! One size fits most (up to US men's 12).